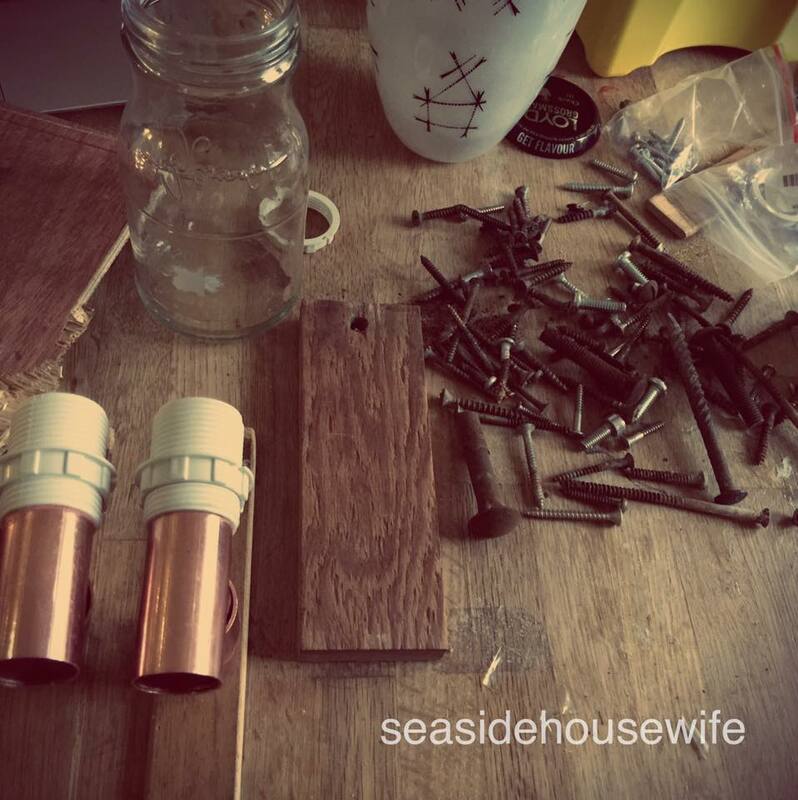 Seaside Housewife: Building a light for Daisy! 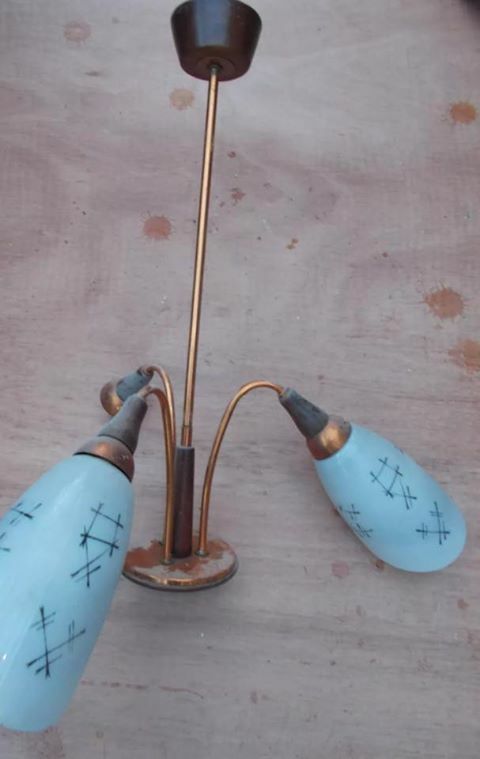 Fell in love with them and hoped I could make something out of the fitting by cutting the stem shorter. When they arrived, they where white and just the shades. I should have read the details more on the ebay post but still I was a little shocked about the colour! So how was I going to attach them? 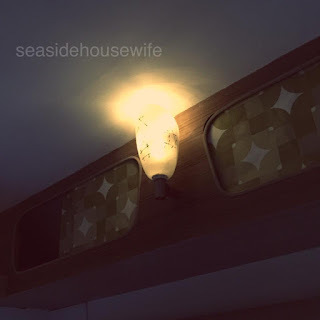 We had no lighting fittings in Daisy. 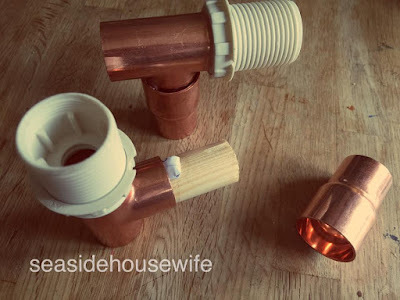 Lots of holes but no fittings. My hoarding ways and the local hard-wear shop to the rescue! A bulb fitting, a few plumbing parts, bit of doweling and some strong glue! Getting into the back of that cupboard is hard work! I need to move it down and across a little which I will do when the drill charges! Its not perfect but it works! I had brought a camping pull light, but the light from it is really useless! So at the moment there are fairy lights in there. Cant wait to use Daisy! Want to know more about our 1969 Bluebird, click here.